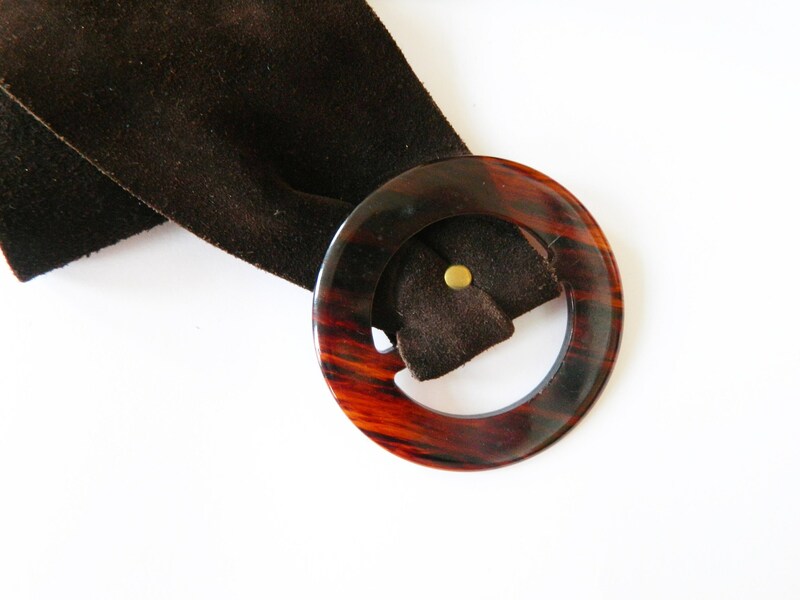 Beautiful suede belt in brown with plastic buckle. Good vintage condition. 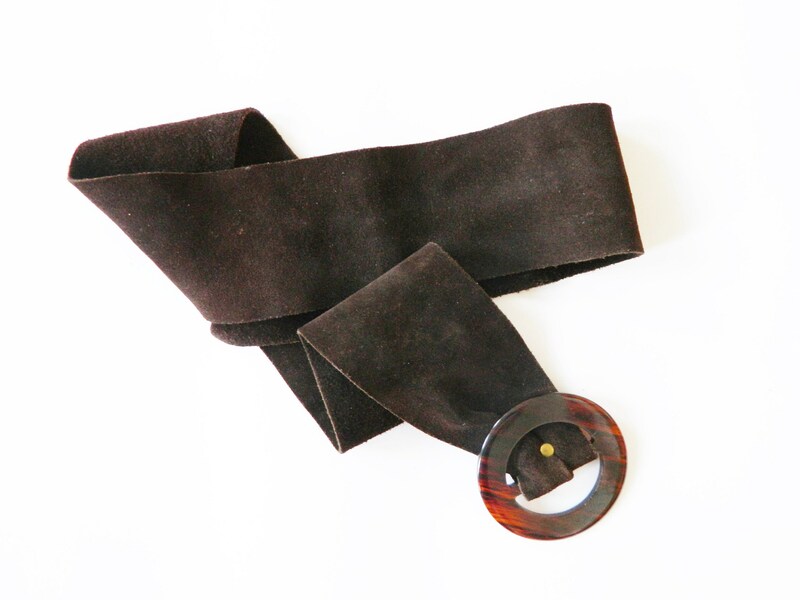 Very nice suede belt in brown with plastic buckle. Good vintage condition. -Width 7 cm, 3 "
-Total length 100 cm, 39 "